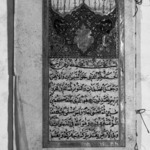 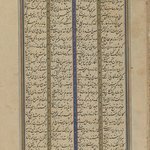 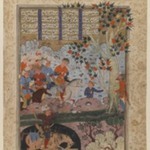 The Shahnama (Book of Kings) is the Iranian national epic, stemming from oral tradition and put to verse circa 1000 by the poet Abu'l Qasim Firdawsi of Tus. 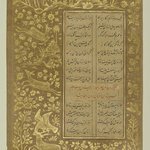 It describes the legendary lives of the kings of Iran from creation to the Arab conquest of the country between the 630s and the 650s. 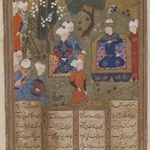 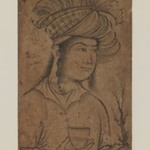 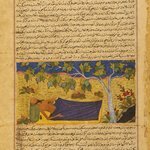 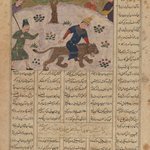 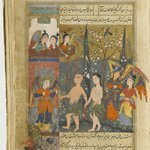 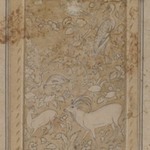 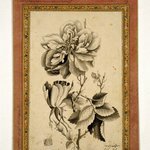 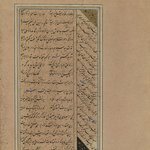 Over the centuries that followed its composition, the tales of the Shahnama had become widely popular; by the early fourteenth century, Shahnama manuscripts had become one of the principal vehicles for Persian painting. 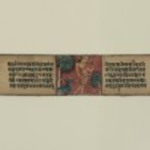 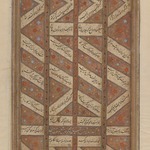 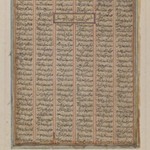 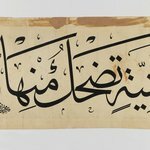 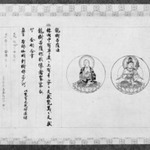 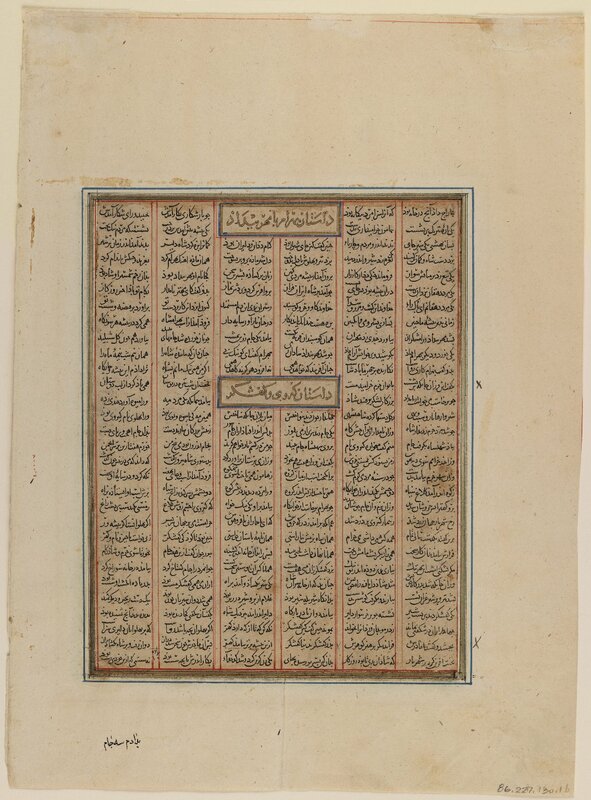 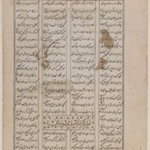 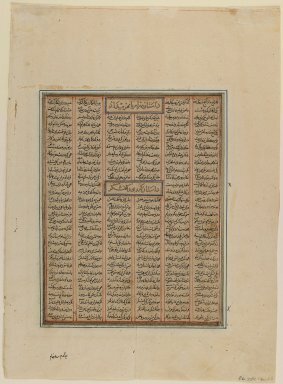 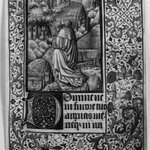 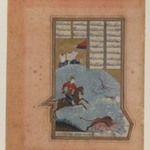 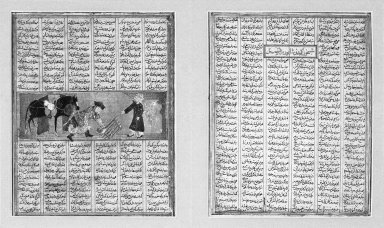 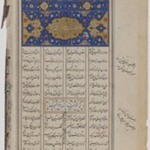 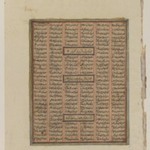 This illustrated page belongs to one of the earliest surviving illustrated Shahnamas. 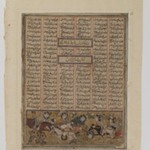 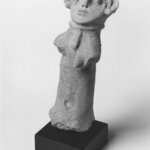 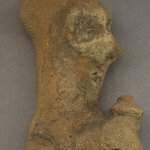 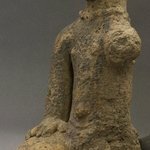 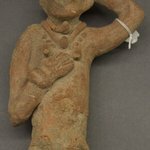 It depicts an episode in the princely cycle related to the Sasanian monarch Bahram Gur. 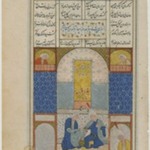 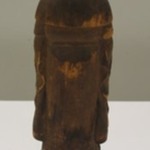 Traveling incognito to a village to investigate reports of the stinginess of a villager named Baraham, Bahram Gur asks for a night's lodging in the man's home. 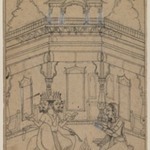 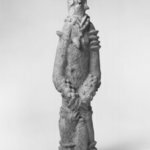 After much hesitation, Baraham allows the disguised king to spend the night in his courtyard, on the condition that he pay for any damage he may inflict and that he clean up after his horse. 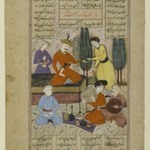 Bahram and his horse spend the night outdoors while his host enjoys a sumptuous feast inside. 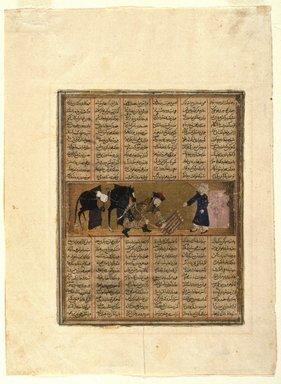 In this illustration, Bahram Gur is shown sweeping up horse manure after a night of hunger and cold.